Clothing can be difficult to buy online, but this dress is just as beautiful in person. 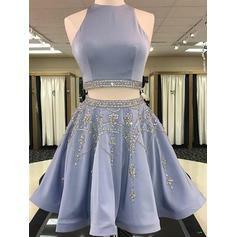 Purchased for Homecoming celebration in lavender. 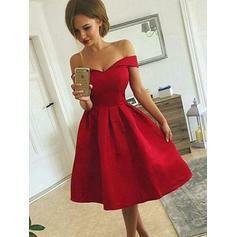 Beautiful dress and seems to be quite well made. Not sure why this gown doesn't have a million reviews but it is beautiful and truly fit my daughter. This was her Homecoming Dress and it was definitely true to size!